Okay, let's start with this: No Judgement. HAHA! Okay fine, you have the permission to judge a little, I have a thing for collecting cards like how some people collect stamps. I have a handful now and some did not even make it to the card holder. I just wanted to ask what it was for, after getting to know the GCash beep MasterCard I eventually signed up for one. Load and pay for MRT & LRT trips. Less money to bring during daily commute. Use as mode of payment for online shopping. Swipe when you fail to bring money for your weekly grocery run. I was able to use it from a recent MRT commute from Santolan to Taft. I like that it deducts the fare at the end of the trip. 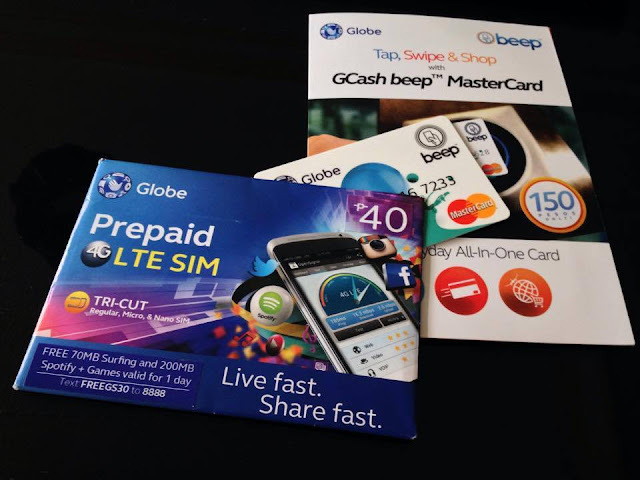 It can store up to Php10,000 for the Beep while Php100,000 of Gcash credits. Loading the beep card is easy, you can head out to any of the Ticket Booth and load it up according to how much you want. Oh yeah, in case you ask it does beep when you tap it on the machine.